Elder Scrolls MMO to be Announced in May? According to an industry insider, Bethesda and ZeniMax Online Studios are currently developing a MMORPG based on the Elder Scroll series, which will be announced in May of 2012. The source also stated that the MMO will take place a millennium before Skyrim, during the Second Era, which is a few hundred years before any of the Elder Scroll games. The game will have three playable factions, each being represented by an animal. Not much is known about the factions, except each is represented by one of three animals: A lion, a dragon, and a bird of prey (either a phoenix or an eagle, we aren’t sure). It’s been known for some time that ZeniMax and Bethesda have been working on an MMO, due to job postings on the ZeniMax website, and through court papers all the way back in Jan 2010, when Bethesda and Interplay were in a legal dispute. 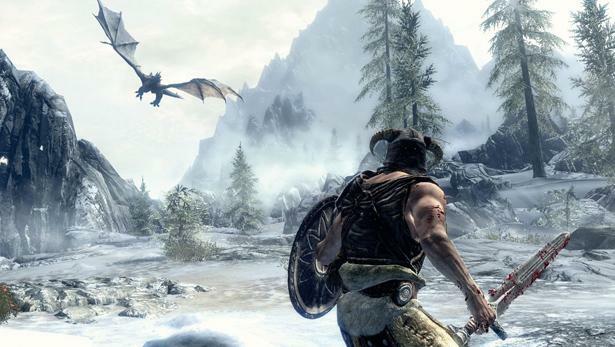 As recent as Sept 2011, Bethesda Game Director and Executive Producer, Todd Howard, came out against turning Elder Scrolls into a MMO; but it now seems this was only done to throw people off the trail. If this leak turns out to be true, that means at the very minimum, they’ve been working on this for over two years. Bethesda and ZeniMax currently have not commented on this leak. Not surprising, the Elder Scrolls franchise is perfectly suited for a MMO. Here’s a guess, id Software will contribute to the game engine. John Carmack has wanted to do an MMO for a long, long time. When id allowed itself to be acquired by ZeniMAX and everyone was asking “Why?”, well, it seemed to me to be obvious. Looking forward to this one, despite the glut of fantasy-based MMO’s. im with you on this one Mark.The entire series just screams MMO. or at least some form of it. hell a pvp system would be nice. It’s going to be ending of mine day, but before ending I am reading this fantastic post to increase my know-how. Howdy very cool web site!! Guy .. Beautiful .. Wonderful .